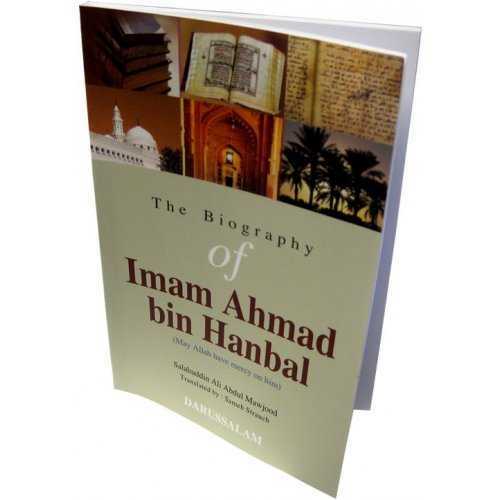 This beautiful book deals with the biography of the Imam of Hadeeth scholars, whose lifelong pursuit of knowledge culminated in the authorship of a book that, in terms of its importance and truthfulness, ranks second only to the Book of Allah. 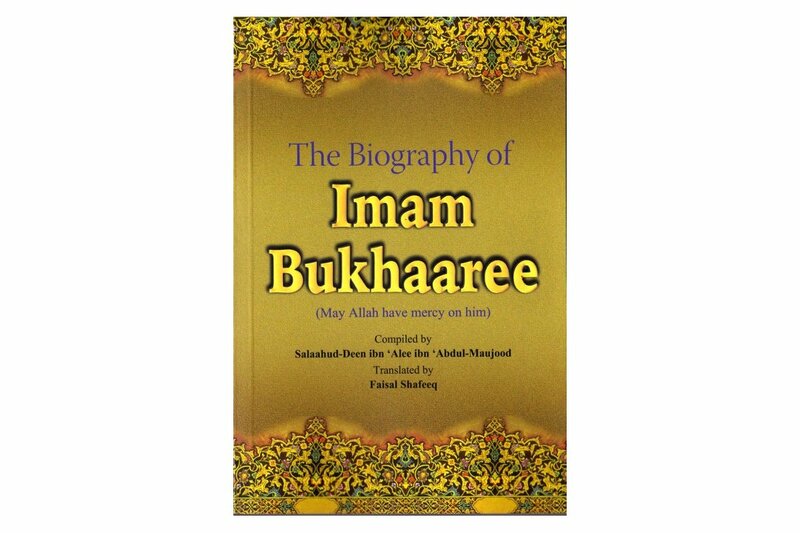 Referring to of course to none other than Muhammad ibn Ismaa'eel Al-Bukhari - may Allah have mercy on him. 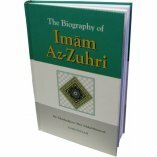 This is the second in a series of books on the biographies of Muslim scholars. I hope to focus not just on their contributions to the vast wealth of Islamic knowledge with which Allah has blessed this nation, but also on the more private and personal aspects of their lives: their manners, their piety, and their worship. These are issues we need to learn about, for the people of this nation cannot hope to achieve a return to their past glory and honor unless they assume the qualities that, in effect, defined the Muslims of the first few generations of Islam. Sadly, many Muslims are today ignorant of even the names of our past scholars, never mind their biographies or contributions to Islam. Thus cut off from the past, many Muslims are in a state of ignorance and confusion, and seem to be waiting for someone to light up the way for them. Most people are tired of listening to speeches, and everyone wants to see people who represent, through their demeanor and deeds, a practical manifestation of the religion of Islam. One has to look far and wide to find people who fit these criteria - though we still have scholars who are noble in speech and in deed (and all praise is for Allah). 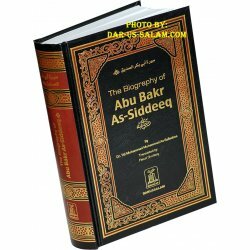 But in reality, one does not have to go far to find such people, for their lives are recorded for us in history books; and here I am referring to the scholars of the early generations of Islam in particular, as well as to later scholars who followed the way of their pious predecessors. As for the scholars to whom I am referring, Faith reached the deepest depths of their minds and hearts and flowed freely through their veins. One senses that every breath they took as well as every movement they made was for the sake of Allah. If they spoke, they spoke for the sake of Allah; and if they remained silent, that too was for the sake of Allah. They illuminated the world with their piety, worship, and deeds. If one were to study their manners and deeds, one would feel that theirs were the manners and deeds of Prophets. 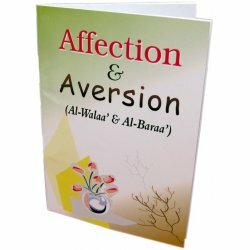 And if one were to read about their dealings with people, one would feel that one had come across practical demonstrations of the teachings of the Noble Qur'an and the Sunnah of the Prophet (S) Some of my noble brothers have asked me to write a series of books in order to acquaint the general population of Muslims with their scholars. 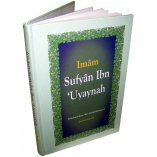 I sought help from Allah and resolved to begin that monumental task. 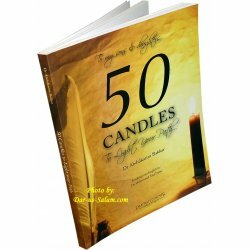 At first, I wanted to exhaustively write about the lives of scholars, covering every aspect of their lives, and giving a detailed account of all of their scholarly activities and contributions to the Muslim nation. 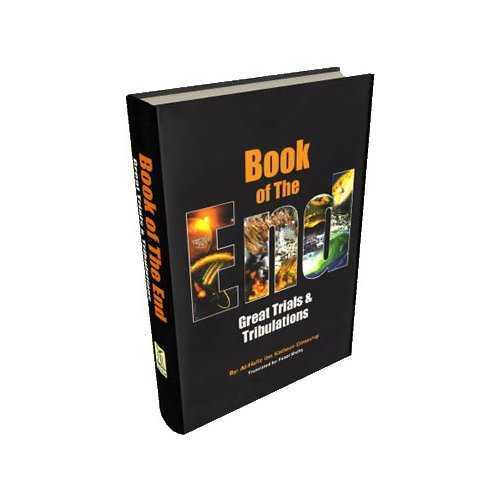 But the brothers who commissioned me to complete this project wanted me to present works that would be easy to read and accessible not just to students of knowledge, but also to the general population of Muslims. So I have tried, to the best of my ability, and seeking help from Allah (Azzawajal), to be as brief and concise as possible. I would like to point out that, in writing the biographies of past scholars, I have not adhered to the principles of narrator scrutiny that are applied in the sciences of Hadeeth. What I found to be famously known about past scholars, I included in this work, so long as there was no cause to doubt a particular narration. If a particular narration about a scholar was dubious in nature - it was not historically plausible, it was not widely accepted, its authenticity was challenged by learned scholars, etc. - I did not include it in any of these biographies. 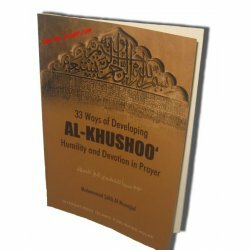 I thus applied the principles that were adhered to by eminent biographers of the past - the likes of Al-Haafiz Adh-Dhahabee, Al-Haafiz Ibn Katheer, and Al-Haafiz Ibn Hajar (may Allah have mercy on them all). 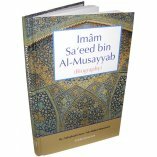 Customer R. on 03/13/2009 This book has a lot of quotations of Imam Al-Bukhari s contemporaries, regarding his position in Fiqh, Ahadith, etc. 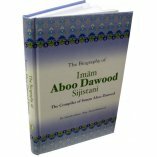 This book really clarifies his method of compiling Ahadith. A must buy in this regard. Customer R. on 06/14/2010 The book is interesting to read. 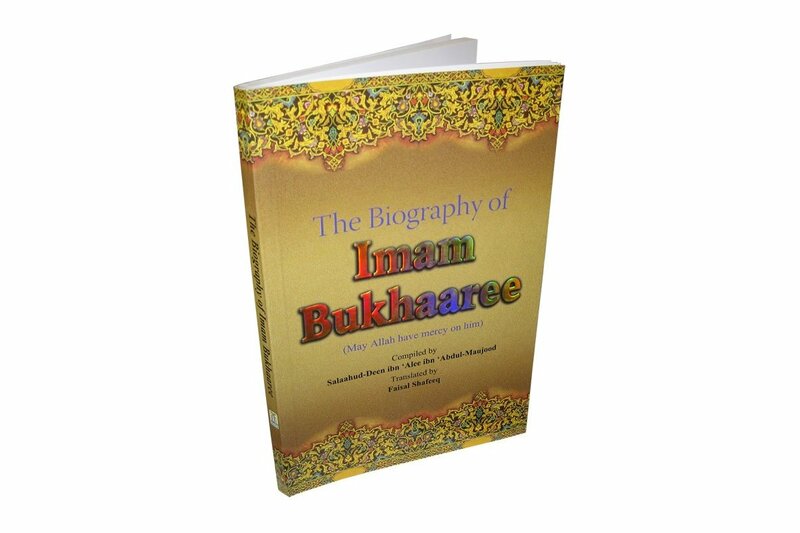 It shows how down to earth Imam Bukhari was. It also goes to show his wonderful memory. 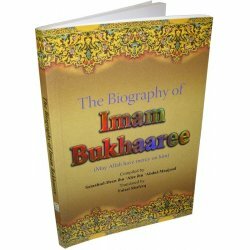 The author sometimes repeats statements because Imam Bukhari s life was not elaborately recorded so the book is relatively small. It's a good buy and I recommend it to lovers of history and biographies.